All motorcyclists can take part in the Trackday provided they have the required safety gear (back and spine guard recommended) and a technically orderly motorcycle (headlights have to be masked and side mirrors have to be folded inwards or taken off completely). The organiser will divide participants into groups according to their lap times, thus you will participate in a group that is of a similar level as you are, eliminating the issue of other participants going either too slow or too fast. ONLY HOLDERS OF A BMA* LICENCE CAN PARTICIPATE IN THE RACE. 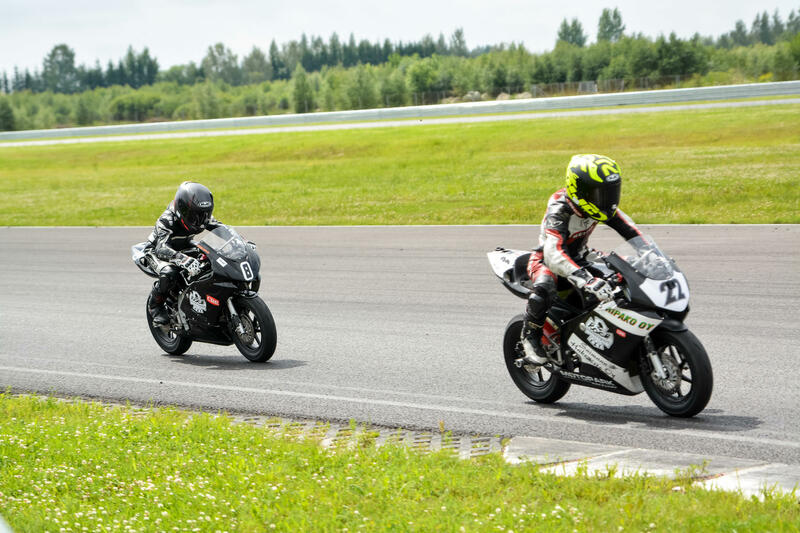 A BMA (Baltic Motorcyclists Association) licences can be attained during events hosted by NRC.lt for the price of 10 EUR after passing a theory exam (exam consists of meanings of flags, basic rules on the race track)). Also BMA license gives 5 EUR discount for every BMA event. For violating any rules, participants may be banned from participating in other events organized by us this year.